ISLAMABAD: The citizens of twin cities of Rawalpindi and Islamabad on Wednesday passionately appealed to the authorities concerned to ensure the early removal of obsolete and broken cat’s eyes from the federal capital’s roads as they were a serious threat to public safety, besides giving city an unkempt look. Members of the general public expressed their anxiety over protruding nails of these broken road studs which were not only causing gruesome injuries during road accidents but also puncturing the tyres of their vehicles. Citizens actively engaged in a social media campaign to remove heavy metal studs, termed the practice as archaic in a civilized society and asked authorities concerned to use flexible rubber dome for the safety of public lives and property. Speaking to the media Shabraiz Iqbal, a resident of Sector I-9 said these cat’s eyes had been banned across the world after criticism by road-users. However, these studs were still found on every road, highway and even in the streets of the federal capital. He disclosed that one of his friends recently suffered a serious injury as a nail of broken cat’s eye pierced his head. Urging the authorities concerned, Shabraiz said, though removal of the cat’s eyes from every road of the capital may take time but at least , the departments concerned should fix the broken ones forthwith. Meanwhile, Capital Development Authority (CDA) Director Roads and Maintenance Abdul Fateh said massive campaigns were the need of the hour as majority of drivers were unaware of traffic rules and disciplines. The director informed that road studs had different sizes of four, six and eight inches. The studs of four inches were installed on majority of roads but they were forced to install big cat’s eyes before schools, mosques and hospitals as the CDA received complaints in bulk regarding hit and run cases, he claimed. “The drivers receive a jerk when they drive through these cat’s eyes and are compelled to reduce the speed of their vehicles,” Fateh added. He said the CDA had to face severe criticism at different platforms and after that the department had abandoned the idea of installing these cat’s eyes on further roads. 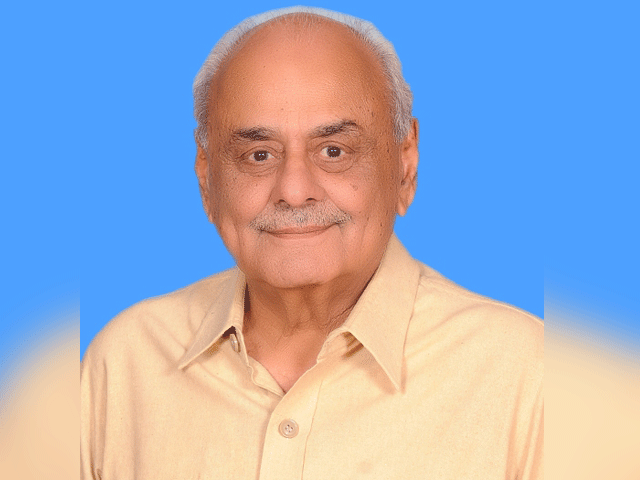 CDA Director Traffic Engineering Azam Lodhi informed that he had submitted the new plan to CDA Road and Maintenance department to place rubber made speed breakers on capital’s roads and avoid to use reflective road studs. He said the different kinds of cat’s eyes were designed for different purposes. Small plastic studs were used for highlighting the dividers while the bigger were used for segregation of traffic. 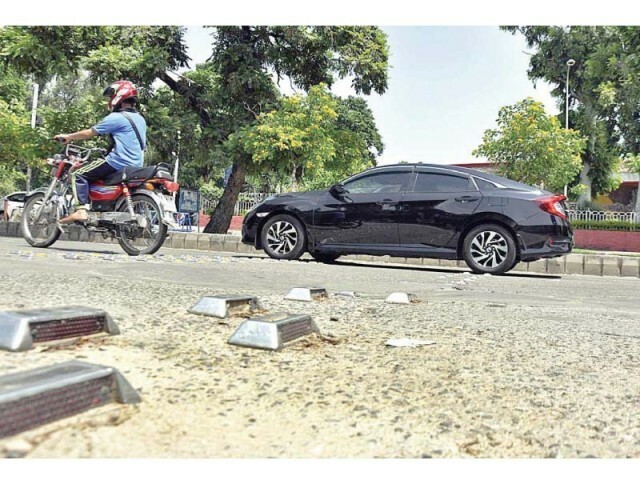 Lodhi said the authority was waiting for approval of funds to start the removal of these road cat-eyes was awaiting financial assistance. Published in The Express Tribune, August 30th, 2018.